Maths with the laughs added in – and the boredom taken away. 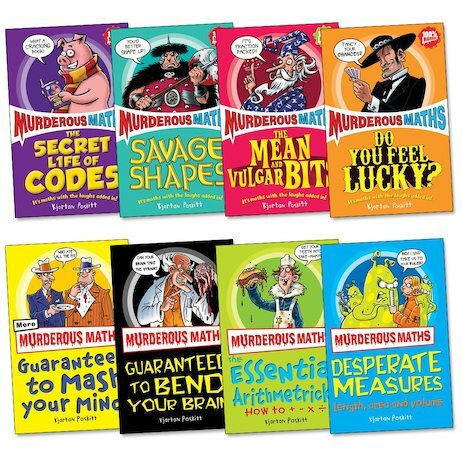 From freaky fractions to cunning codes, you’re in for more laughs than you can count! Beware, brave reader. 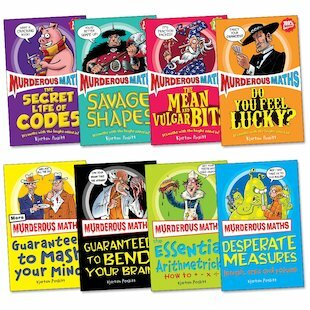 It’s true that in Murderous Maths, you won’t find any boring exercises or flummoxing sums. But Professor Fiendish and his rotten sidekick Chainsaw Charlie are living proof that maths can be murderous. You don’t want those nasty numbers getting brutal on YOU! So brace yourself for a hilarious maths mission! Dare you attempt Professor Fiendish’s foul formulas? Or get your teeth into terrible take-aways? Have you got what it takes to solve lots of mind-mashing maths puzzles? It’s time to see… and to press all those mysterious calculator buttons that you’ve always been afraid to touch! 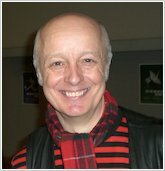 Kjartan Poskitt has done it again! These are the best books in the history of books!